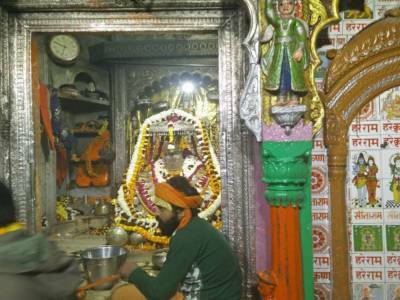 Hanuman Garhi is the most important and sacred place of Ayodhya. The Lord Hanuman is one of the five Chiranjivees "The Immortals" and this place is devoted to him. When Lord Ram was Leaving the mortal world after accomplishing his phenomena, he ceded the reign of Ayodhya to Hanuman, his best Bhakt or devout. This is a cave temple and some 70+ stairs to reach the main gate of the temple. It has an inner sanctum where the idol of infant Hanuman is seen on his mother Anjana Devi in her lap. This Bala Hanuman is well known for bestowing boons on the devotees. In the front of the central shrine an elevated veranda is made where Mahant, the Chief Priest and other priests delver sermons from time to time and devotees sit to worship and assimilate the holy energy. In this veranda there is another shrine with the idols of Lord Ram, his brother Lakshman and wife Sita. 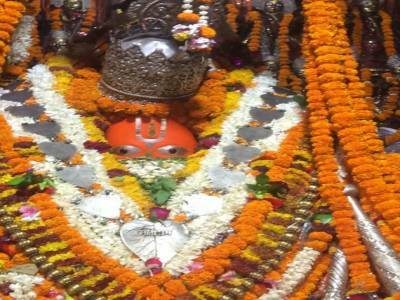 The Ram Navami and Chaudah Kosi Parikrama is the Major Festival celebrated in the temple and that day thousands of devotees visit the temple and offer prayers. The view from outside of the temple looks like a four-sided fort with circular citadels at every bend of the wall. 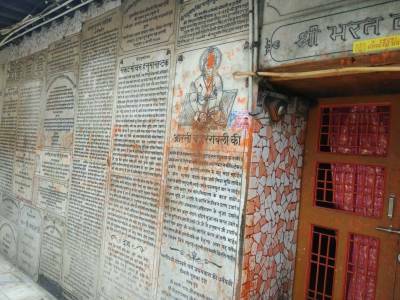 It is the faith of some people here that Lord Hanuman by dwelling in this cave has been taking care of the Ram Janmabhoomi at Ramkot. The Prasad, flowers and pooja shops are all around the temple. 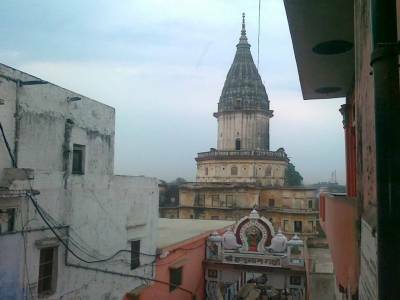 The temple is in the category of “Must visit shrine” in Ayodhya. Accessibility : Ayodhya is well connected city with Lucknow, Varanasi, Gorakhpur and Prayagraj (Formerly Allahabad). The nearest airports is Chaudhary Charan Singh International Airport in Lucknow, the distance is about 135 KM and the Lal Bahadur Shastri Airport in Varanasi, the distance is about 200 KM. Ayodhya is about 135 KM away from Lucknow, about 200 KM away in Varanasi, about 165 KM away in Allahabad and about 175 KM away in Gorakhpur. The Railway network connects Ayodhya directly with nearest cities like Lucknow and Varanasi. There are many dharmashalas and budget hotels to provide the good accommodations. 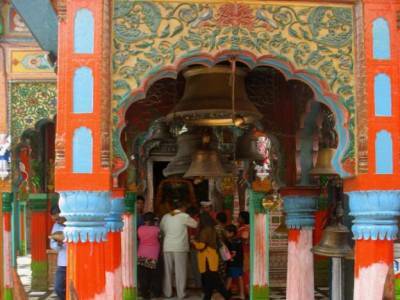 Get quick answers from travelers who visit to Hanuman Garhi.